You might think that losing a tooth isn’t such a big deal since you have so many more, but a single lost tooth can cause real problems. Your dentist can replace the teeth you lose to fill out your smile, keep up your appearance, and make it easier to perform basic actions. Continue on for the top reasons to replace your missing teeth. A missing tooth towards the front of your smile tends to be obvious, and it can even be distracting. In turn, it might make you feel self-conscious and change the way you laugh, smile, or interact in social settings. When your dentist replaces your missing tooth or teeth , you can go back to enjoying the same smile you grew up with. 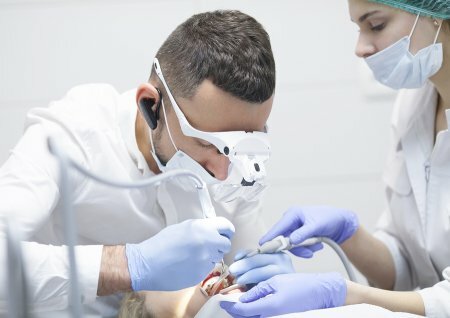 This kind of restorative care also helps keep your existing teeth from shifting out of position and into the gaps, so it bolsters your oral health as well as your appearance. Losing teeth can affect your appearance immediately, but it can continue to do so over time, even if it’s not in a visible area. When a tooth falls out, the root stops stimulating the jawbone. This eventually leads to bone resorption, which means you’ll lose bone mass in your face. If you want to avoid a sunken in appearance, talk to your dentist about implant dentistry. A dental implant will replace the root of the missing tooth so that your facial structure remains the same. Teeth aren’t just components of a smile, and you need them to chew your food and speak a full sentence clearly. If a missing tooth has given you a lisp or made it difficult for you to enjoy your favorite meal, you should talk to your dentist about having it replaced. The professionals at Glenwood Premier Dental specialize in implant dentistry near Hazlet. We can replace your missing teeth as well as address issues like loose teeth, gingivitis, and oral cancer. If you’d like to learn about our services, check out our website or call us at (732) 264-4477.